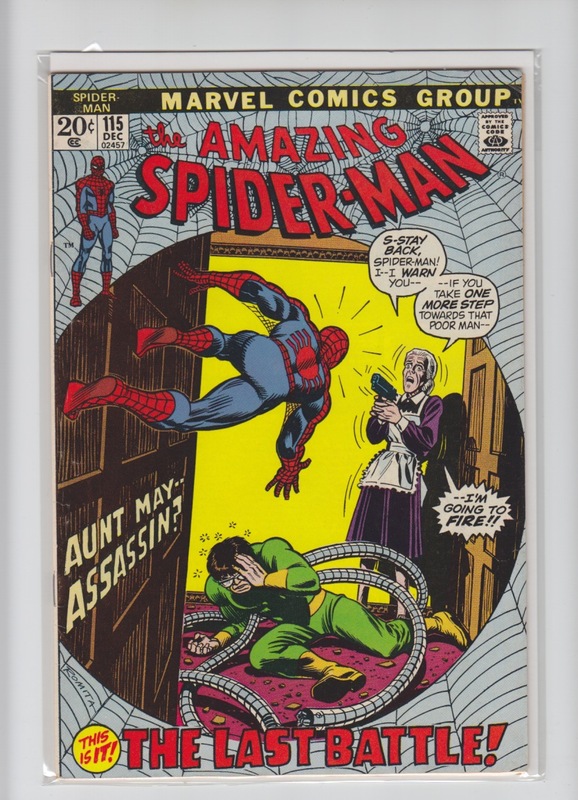 36 9.2 NM - $50 Volume 2. 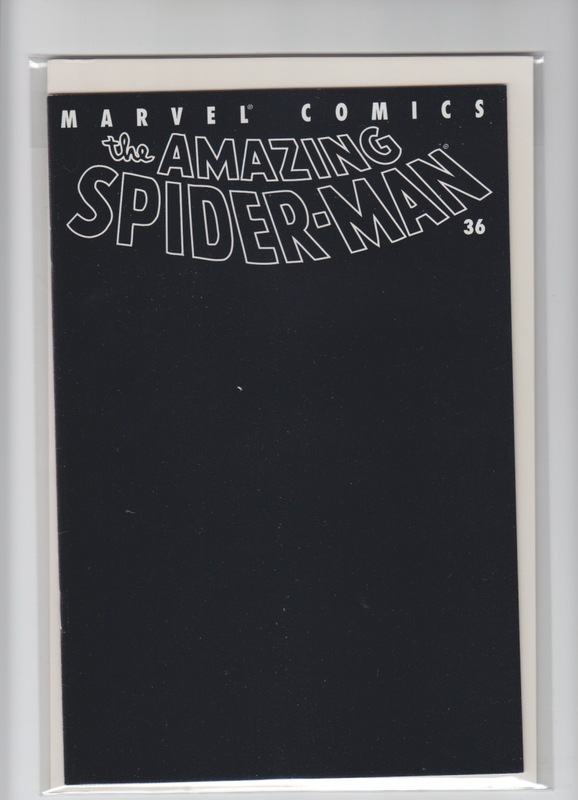 Black cover; aftermath of the Sept. 11 tragedy in New York; DECEMBER 2001. 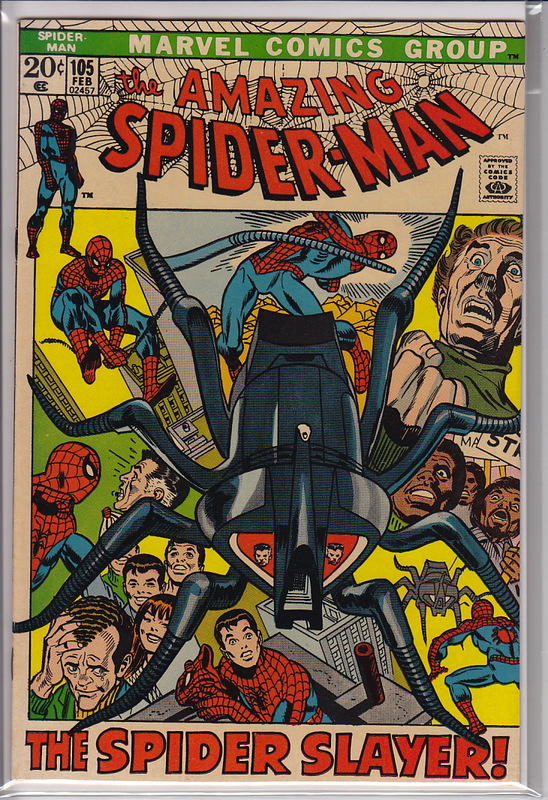 89 4.5 VG + $26 OCT 1970; Doc Ock lives! 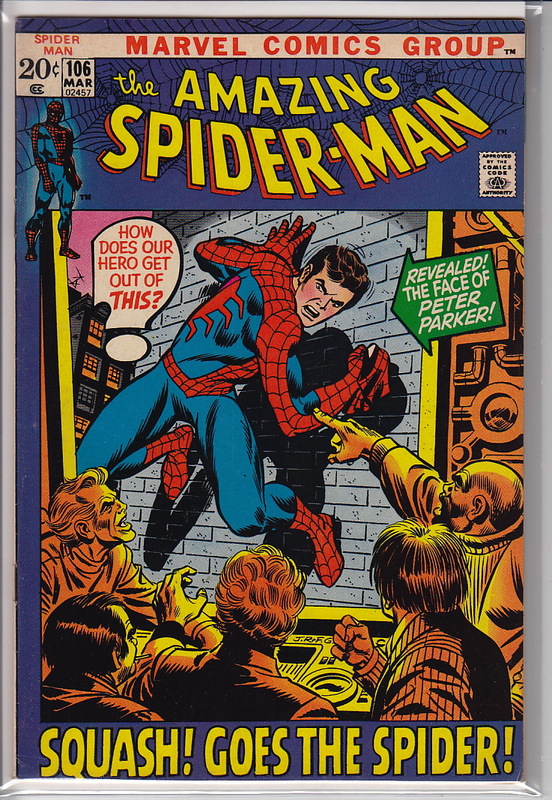 105 9.2 NM - $100 FEB 1972; The Spider Slayer! 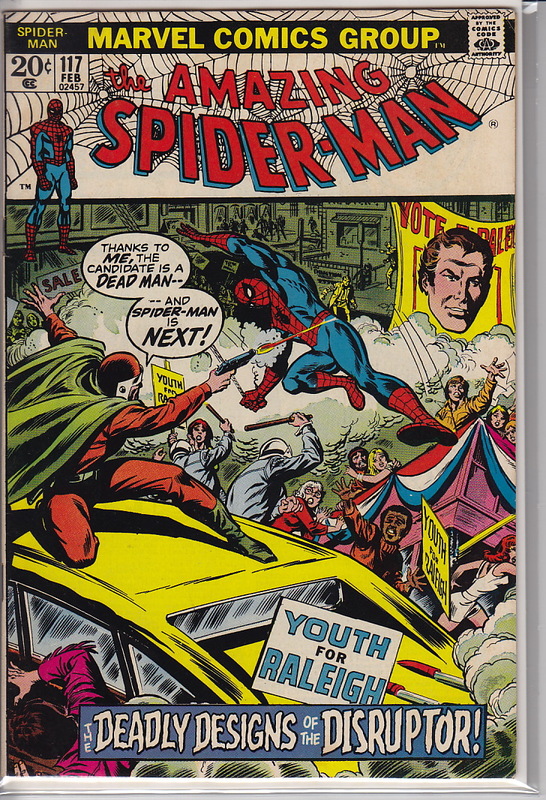 106 9.2 NM - $100 MAR 1972; Really sharp copy. 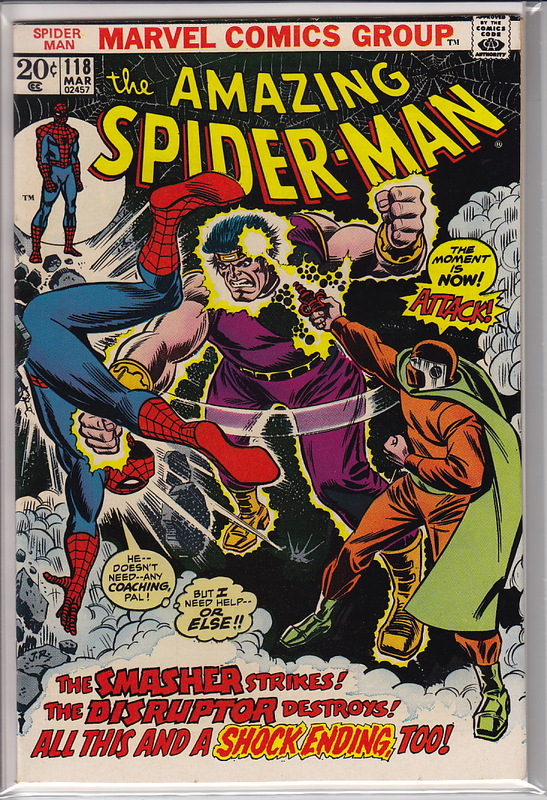 108 9.2 NM - $100 MAY 1972; First appearance of Sha-Shan. 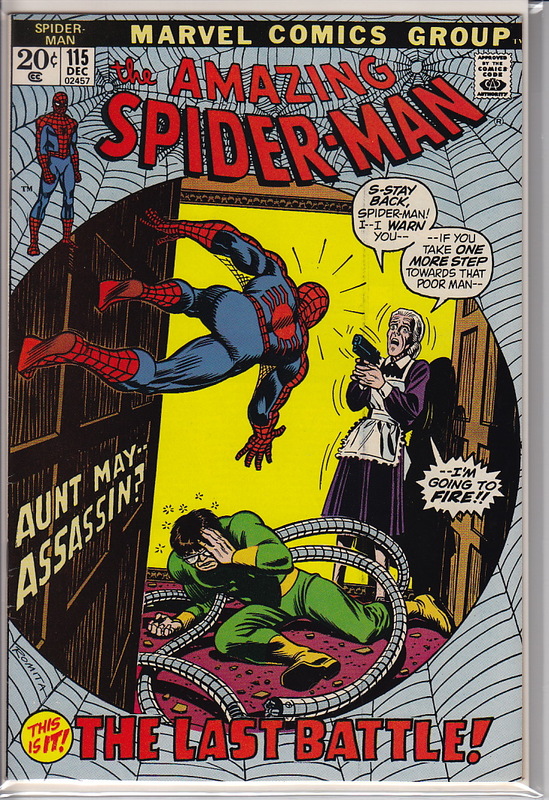 115 9.2 NM - $100 DEC 1972; Doctor Octopus. 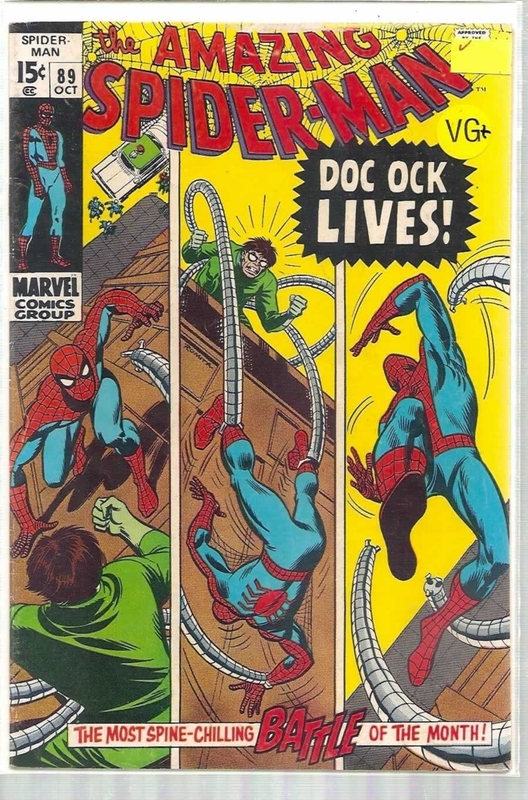 115 7.5 VF - $40 DEC 1972; Doctor Octopus. 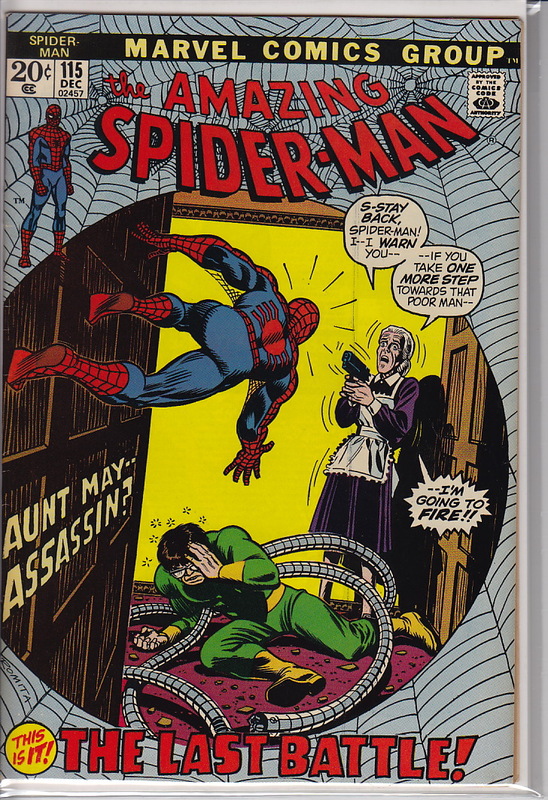 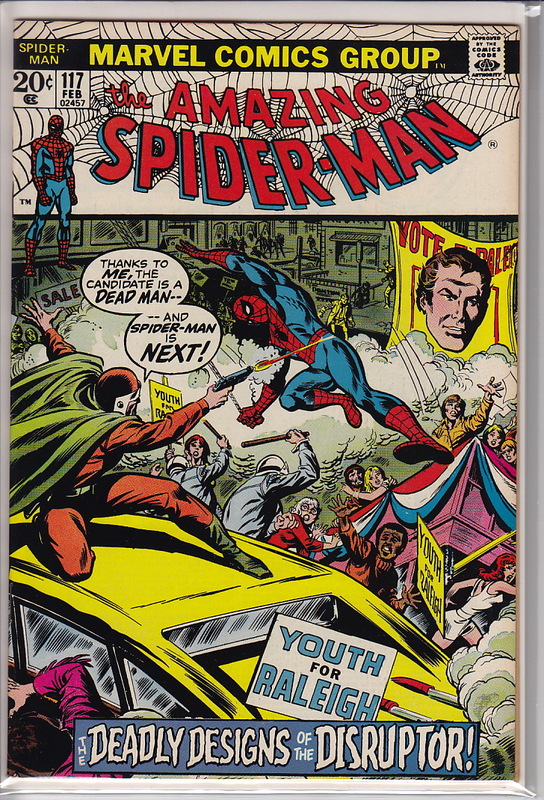 117 9.2 NM - $100 FEB 1973; Reprint story from The Spectacular Spider-Man magazine, but with some changes. 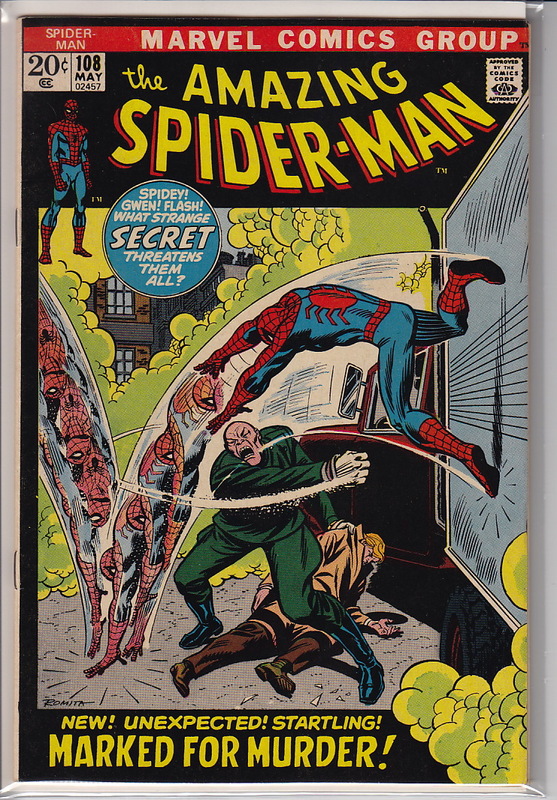 117 8.5 VF + $50 FEB 1973; Reprint story from The Spectacular Spider-Man magazine, but with some changes.